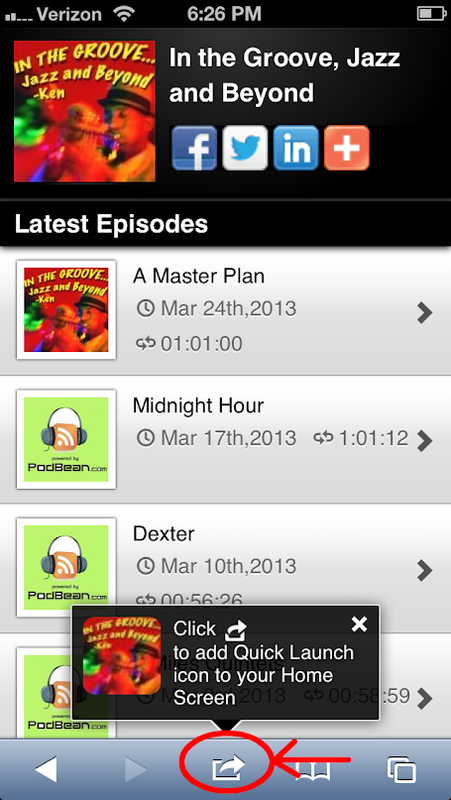 We now have a mobile web app that you can install on your iPhone or other smartphone. 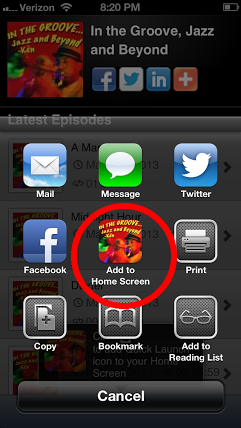 Simply go to this Mobile In the Groove site at this link using Safari on your iPhone or iPad, and follow the instructions to add the icon for the web app to your home screen. See the screen shots below. If you have an Android or other smartphone, you can link to the mobile site and add a shortcut to your phone's home screen.